Remove the stems of and quarter the tomatillos; toss into the bowl of a food processer. 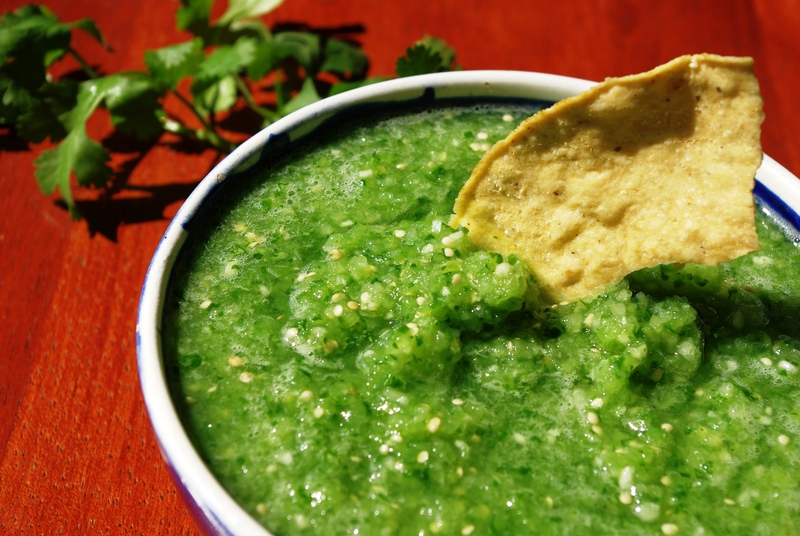 Roughly chop chilies and add to the bowl and blend until the mixture reaches a thick, salsa consistency. Add onion, garlic, cilantro and salt and blend again to incorporate. Test for heat and salt and adjust to taste. Serve at room temperature.